I always like to go to the Ordway's holiday production because it's typically an original production (rather than a touring show) featuring a mostly local cast. Last year they did the colorful and super fun Joseph, the year before Beauty and the Beast. This year's selection is the Rodgers and Hammerstein musical Cinderella, originally written for television in 1957 starring the great Julie Andrews. 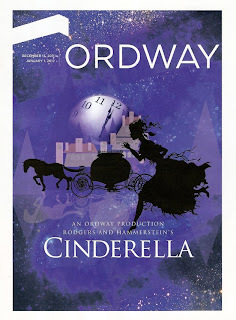 The Ordway's production is magical and very sweet, and almost makes me believe in fairy tales, almost makes me believe that impossible things really can happen. It was fun to forget that I'm way too old for fairy tales and immerse myself in the magical world that Cinderella lives in, if only for a little while. A huge cast of primarily local talent, including the divine Wendy Lehr as the Queen and Gary Briggle as her elegant husband, Reid Harmsen (aka Mark in RENT and Brad in Rocky Horror) as the enthusiastic steward and friend of the prince, and way too many ensemble members to mention here (but I had fun trying to identify them in the group numbers). The sweet-voiced and extremely likeable Jessica Fredrickson (another local with whom I was previously unfamiliar) as our Cinderella. A quite capable and swoon-worthy Prince in the form of Jeremiah James (the one non-local featured). Hilariously over the top performances by Greta Grosch (one of the original Church Basement Ladies) as the Stepmother and Colleen Somerville and Andrea Wollenberg as her two homely but hopeful daughters. A sassy fairy godmother (Tonia Hughes) who encourages Cinderella to make her own wishes come true, with a little help. Cinderella's animal friends adorably represented by puppets manipulated by dancers dressed in black (including Linda Talcott Lee who recently talked about her experiences working with the one and only Jerome Robbins). Two dimensional painted set pieces and backdrops that look like a storybook come to life. A seriously magical and seemingly instantaneous transformation from poor serving girl to belle of the ball and back again (I'm still not sure how they did that). Great musical theater songs like you would expect from R&H, fun dance numbers, and beautiful playful costumes. One gauge of the success of a musical is if I leave the theater singing the songs and feeling like I could dance down the sidewalk back to my car. 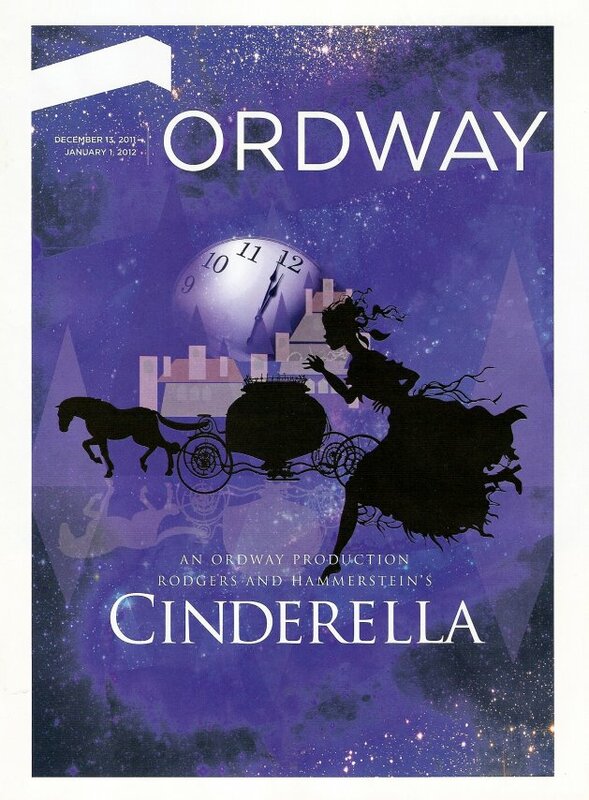 By that criteria, the Ordway's Cinderella is a success. A light and fluffy show, but very well done. Thanks for the lovely review! I read your blog regularly :-) So glad that you enjoyed the show! thanks so much jessica! you're wonderful in the show and i look forward to seeing you onstage again soon! and i apologize for getting your name wrong (unless you didn't see that, then never mind ;).